Since it’s debut in 2007 AMIClubwear continues to grow each day and improve their service. Amiclubwear.com stemmed from Continuous Growth-AMI which opened their online store in 2004. Their women’s clothing shop is based out of Southern California. When you browse AMIClubwear’s website, make sure you use one of these AMIClubwear promo codes to save on your order today. The site offers many categories to assist you with your shopping. It’s easy to view the latest trends by searching the “What’s Hot”, “Party Dresses”, and “Winter Trends” categories. If you’re looking for even more of a deal, make sure to check out the “Under 20” and “Clearance” sections. These discounted categories make shopping online easy and affordable. AMIClubwear clothing is sold in sheer, lace, and various mesh fabrics. Find new pants, skirts, or shorts to add to your wardrobe and look great. You can also find chic intimates such as undergarments, lingerie, leggings, hosiery, and corsets. You can even find costumes for special events, rompers, clubwear, as well as a wide selection of plus-sized clothing. Various sized are available for all body types from extra small all the way to plus-sizes. If you’re looking for some new shoe styles, find heels, boots, wedges, flats, sandals, and more. At these prices, you can have it all. Find awesome swimsuits for the pool or beach and browse all styles including one-piece, two-piece, push-up, and padded. You can also learn more about their products and today’s fashion trends by registering for their free newsletter. 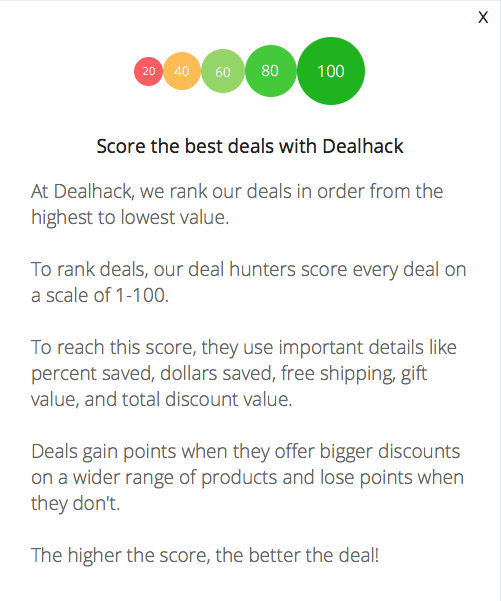 With new items being added to the site each and every week, don’t forget to keep checking Dealhack for the latest deals. AMIClubwear is your go-to online store for all of your fashion needs. Whether you want to find a real bargain on a dress or a pair of fabulous heels, be sure to grab an AMIClubwear coupon and get shopping. Follow AMIClubwear on Facebook, Twitter, Google+, Pinterest, and YouTube for new looks and wardrobe inspiration. You can contact an AMIClubwear representative by calling 1-855-264-9327. Looking for fashion ideas? The site has a “Featured” section that reflects the latest trends. Not sure what size you need? Use the AMIClubwear size chart to help pick out the right size. If you want to find deals, check the site for flash sales or shop in the clearance section. If you’re a fashion blogger, be sure to check out the Fashion Blogger Program where you can earn up to $200 every month or get free clothing & accessories for promoting AMIClubwear. What is Today’s Best AMIClubwear Promo Code? The best AMIClubwear promo code right now is SALE60. This code is for '60% off Sitewide'. Copy it and enter it on the AMIClubwear checkout page to use it. Get free U.S. ground shipping on all orders of $50 or more. Upgrades to overnight or expedited shipping are available for a fee. Return any item(s) you are not completely satisfied with within 30 days of their delivery date. Refunds and exchanges vary depending on the product.